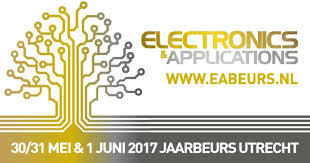 Electronics & Applications is an international fair of industrial electronics in the Netherlands. Over 130 exhibitors, including electronic components and measurement equipment distributors, will display their offerings during the event. Besides the exhibitions, also seminars are planned, during which the innovations in the area of industrial electronics will be presented, allowing the visitors to obtain new skills. As a curiosity, the organizers also prepare live manufacturing shows.